Stay tuned for another fabulous giveaway next month! I just know you will adore the selected item from a very popular blogger that you also can customize! Thank you so much Heidi! 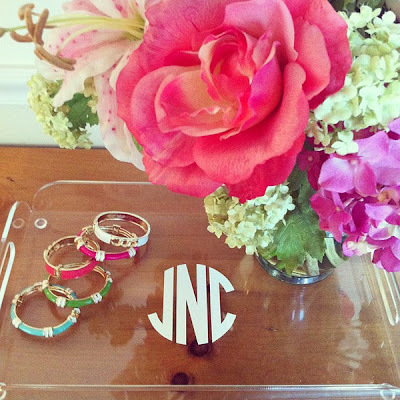 I adore this monogrammed tray.